Human rights activists face similar struggles, but their stories are often heard in isolation. 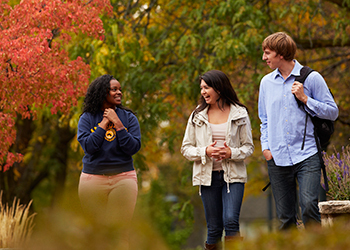 The Marquette Democracy Project facilitates transnational coalition-building by creating a forum for activists to share their experiences with Marquette students, with each other, and with individuals across the world. Toward this end, our project brings international activists to Marquette for brief visits during the school semester, during which they teach classes, give a public talk (open to the Milwaukee community), and tell their stories to student journalists and videographers for distribution on our project website. Our Spring 2017 series includes activists from Mexico, Uganda, and Bahrain. 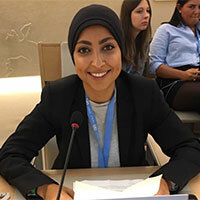 Maryam Al-Khawaja is a Bahraini Human Rights Defender, works as an Advisor on Advocacy with the Gulf Centre for Human Rights (GCHR), and is on the Board of the International Service for Human Rights. She previously served as the Co-Director for the GCHR (2012-2017) and as the Acting President of the Bahrain Centre for Human Rights (BCHR) (2012-2014). Al-Khawaja played an instrumental role in the democratic protests taking place in Bahrain’s Pearl Roundabout in February 2011, which triggered a government response of widespread extra judicial killings, arrests, and torture. Due to her work, she has been subjected to assault, threats, defamation campaigns, imprisonment and an unfair trial. Over the past several years, Al-Khawaja has emerged as a leading voice for human rights and political reform in Bahrain and the Gulf region. She has been influential in shaping official responses to the atrocities in Bahrain around the world by engaging with prominent European and American policymakers. Al-Khawaja has received numerous awards for her human rights work, including the Rafto Prize. The Al-Khawaja family was nominated for the Nobel Peace Prize in 2013 by an EU Parliament Member. Register to listen to Wael discuss democracy in the era of social media on Monday, April 24, in Marquette Hall 100. 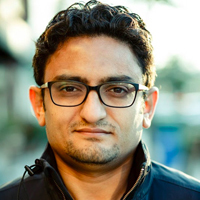 Ghonim is a computer engineer, an Internet activist, and a social entrepreneur. He is best known for his role in sparking the Egyptian revolution back in 2011. Wael worked for Google heading their Marketing and Product operations in the Middle East. In 2015 following his departure from Google, Wael co-founded Parlio which was acquired by Quora. He is currently a senior fellow at The Ash Center for Democratic Governance at Harvard University. In 2011, Wael was nominated for the Nobel Peace Prize, was named one of Time 100's most influential and received the JFK Profile in Courage Award. Coined the "keyboard freedom fighter", he used the power of the Internet and social media to fight for social justice, democracy and human rights in Egypt. He is the founder of Tahrir Academy a nonprofit online knowledge-sharing platform for Arab youth. 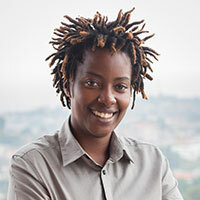 Clare Byarugaba is an LGBTI activist and feminist from Uganda, a country where homosexuality acts are criminalized. For two years, she coordinated a national Coalition that used its collective power to successfully fight the notorious Anti Homosexuality bill 2009 until its passage in 2014. After its passage into law, Clare was outed as a lesbian on the front page of a national tabloid newspaper and forced to go into hiding in the face of a national witch hunt that included death threats. Despite the increased risk of arrest and mob violence, Clare persevered and the Coalition filed a Constitutional Petition that led to the annulment of Uganda’s Anti-Homosexuality Act. In her current position at a Chapter Four Uganda, a Civil liberties organization, Clare is building Uganda’s first chapter of PFLAG, a global organization that supports families and allies of LGBTI persons. She and the coalition were awarded the 2011 U.S. State Department Human Rights Defender Award. She is also the 2014 Oak Human Rights Fellow. Uganda has become synonymous with its "kill the gays" bill. Since its inception in 2009, the draconian bill has led to unprecedented levels of intolerance and violence against a minority group, which until then had remained under the radar. What caused Uganda to take such a dangerous stance against homosexuality, and how have advocates fought back, in one of the most volatile environments for LGBTI rights activism? Clare Byarugaba, an LGBTI activist from Uganda will address these questions. This project is co-sponsored by the College of Arts & Sciences, the Office of International Education, the Center for Transnational Justice, and the Political Science Department. Friar Tomás González Castillo is among the most vocal members of a Catholic movement to advocate for migrants in Mexico. He is founder and director of “La 72,” a sanctuary near the Guatemalan border established as part of a Catholic underground railroad to protect migrants on their journey. Fray Tomás spends much of his time traveling Mexico to call attention to the failures of the Mexican government and U.S. immigration policy, in addition to denouncing drug cartels and investigating disappearances. Based on his provocative public statements, Fray Tomás faces regular death threats. In 2013, he won the Franco-German award for human rights. Marquette students Rachel Kiefer, Nicholas Molina, and Dan Noonan interviewed Fray Tomás via Skype prior to his visit. The Marquette Democracy Project will bring young international democracy movement activists to Marquette to give class lectures and public talks.